Healing the world isn’t just for hippies anymore! When I was growing up in the Green Mountains of Vermont, everyone talked in slogans: “Think Global Act Local;” stuff like that. I knew growing up about the importance of healing the world and eating food grown in compost from your kitchen but that’s because I was raised in a state that was populated by 20-somethings who fled the urban East Coast in the ’70s to form communes in “pure” Vermont. Nowadays, everyone is starting to wake up and smell the hole in the ozone layer. I don’t know if Zack Rosenberg was raised by hippies too or if he’s discovered the heal the world ethic later in life, but he’s definitely tapped into it in a smart and sustainable way with his company DoGoodBuyUs, which provides the conscious consumer with access to a variety of products that are sustainably made and directly benefit the people who make them. Enter the future and buy social. My mother would have died for this site when I was a kid. I had been working through the concept and really struggled to find a name worthy of the idea. I so rarely dream but on this particular day, I woke up with the name, DoGoodBuyUs. I figured no way the domain would still be available and when it was, I ran with it! 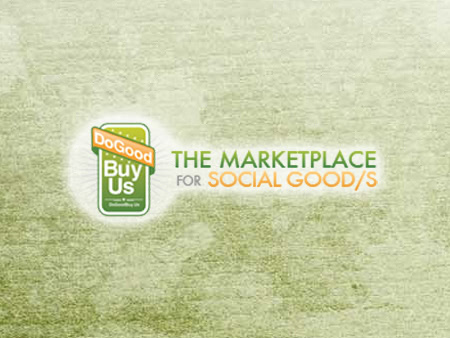 Why did you start DoGoodBuyUs? The idea came to be during a trip to the grocery store with my son. Nine out of 10 times he gets the sugary cerealshe loves but this day, I put my foot down. As I read the labels on the boxes I found over 90 ingredients but only 4 I had heard of. The next box I picked up was a Paul Newman’s Own. In this box there was only 4 ingredients and I heard of all 4 of them. Finally, something that was good for me and because they are a nonprofit, good for others. I knew I wasn’t the only conscious consumer out there. There had to be more. 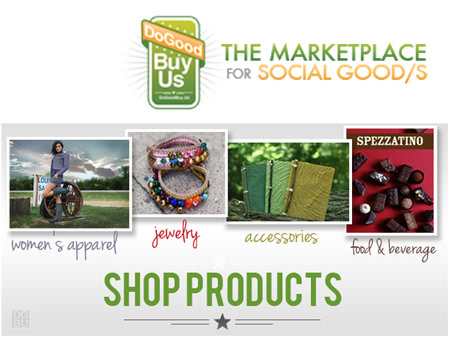 Now, you can find them all in one place, DoGoodBuyUs! You mean, after reading KillerStartups? The first thing I do is look for the day’s inspiration. Reading/watching the news and reaffirming the reasons I spend my life helping others. While I am the only “founder,” friends and family all played tremendous roles in the early days. I’m not sure my girlfriend, Rachel, knew what she was signing up for. Now, we have 3 full-timers, 2 part-timers and 3 interns. I will never forget our first flea market. Other vendors came with RVs full of products and equipment and hours in advance. We came, set up our table and the first thing everyone asked was, “You an internet retailer?” I suppose it was that obvious. We had no layout or design and our pitch in person needed a lot of work. I am glad to say we have greatly improved. I always tell everyone that entrepreneurship makes every day my best and worst day. It is amazing and awful and awesome and terrible all at the same time. My best advice for getting through the frustration is this: if the second thing you think about when you wake up is your company and the second to last thing you think about before bed is your company, keep going! I think the folks here would have a hard time pronouncing traditional. Our environment (while still small) is all about celebrating mini wins. Another thing we learned is that Tuesdays are actually the best day of the week. We can’t explain it, but, they are. My dream would build a bustling marketplace of people with shared values. Making the world a better place is important and how we consume is a big, big part of that. In 5 years, my hope is that we have turned the tide and that companies of all kinds realize that in order to survive, they must increase their standards and provide products that are good for you and good for others. Give us the deets, dude! I promise it isn’t lame that my answer is my parents and my son. If it wasn’t for them and their guidance and support, I would be nowhere. My next response is from my grandfather though I don’t believe it’s an original, “Love what you do and you will never work a day in your life.” No one loves what they do more than I do. VC money (the right one at least) would be awesome! This baby has been completely funded from my savings and the revenue generated. My favorite line about entrepreneurship is: We are never excited for Friday because we never know when it is. I don’t know if I could even do it. Likely, I would travel to the regions of the world I have been helping from afar and see what I could do with feet on the ground. Not much of a vacation but, there is so much to be done! My father has owned his own company for 30+ years and has said that he feels successful when he can sleep through an entire night. I am not there, yet. Will I be boo’ed if I said, Google Analytics? I am a stats junkie and I need my data. My second attempt is BigThink. So many amazing people to learn from. Camscanner! We work from my home office and that can sometimes hold us back from more traditional office equipment. With Camscanner, I can print, sign and scan back without all the extra equipment. How is it even free?! Cats but not house cats, I am talking like a Puma or a Snow Leopard. Android, 100 times out of 100. I would love to visit Brazil. The culture, the soccer, the really expensive airfare (sigh). The greatest part is seeing the difference we make. I have been so fortunate to meet some of the lives our charity partners are impacting. Here is a link to our Facebook Page, Twitter, Youtube and Linkedin. My other project is called SixDegreesofZR. The idea is I put together an email once a month and feature up to four people who are unemployed looking for work. Over the last 2.5 years, I have helped put close to 50 people to work. Been fun!